Bellagio's Fountains Las Vegas contains many wonders, one of which being the Fall of Bellagio's Fountains show located in Caesar's Forum Shops. 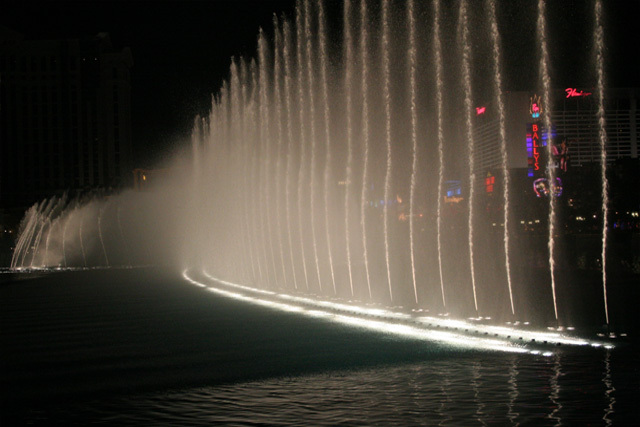 The fountain show, right next to the Cheesecake Factory, depicts the myth of Atlantis using lifelike animatronics figures. The story begins as King Atlantis is trying to decide which of his children should rule Atlantis. As the plot unfolds, the siblings set loose a wave of greed upon the city through their repeated efforts to destroy each other. After a time, the gods settle the dispute by launching the Fall of Atlantis. From behind Atlas’ throne a 20-feet winged appears, and Atlantis is consumed by fire and floods. The surrounding monitors heighten the show's drama with visual effects, and the tank behind the fountain sets the mood well. Inside, viewers can see over 100 species of fish and other oceanic creatures in a 50,000-gallon tank. 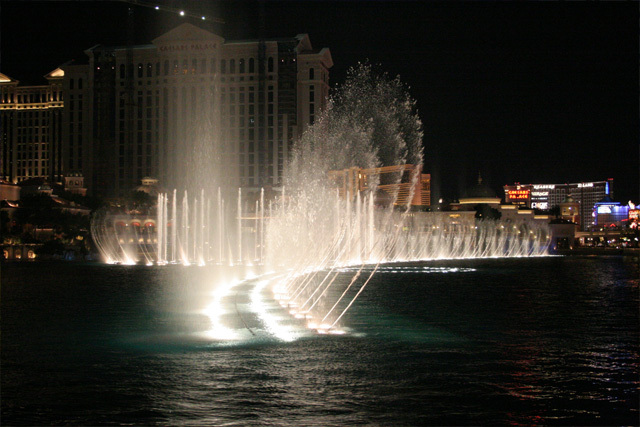 The Fall of Bellagio's Fountains show integrates imagination and location into a wonderful experience. Monday - Friday: 3 p.m. - 7 p.m. (with shows every half hour), 7 p.m. - midnight (with shows every 15 minutes). Weekends and holidays: Noon - 7 p.m. (with shows every half hour), 7 p.m. - midnight (with shows every 15 minutes). Note: Every Sunday for Jasmine's "Fountain Brunch," show times begin at 11 a.m. and run every 15 minutes. A must-see if you're visiting vegas for the first time!!! Absolutely magical and breathtaking!!!!!!!! I could just watch it over and over again, each time I am in Las Vegas! It is SOOOO beautiful!